Pokemon or Pokémon Go, a trending game from Nintendo is not yet launched in India, still you can install and play the game on your Android phone. Want to know how? Since Pokemon Go is not launched in India, you will not be able to see it in the Google Play Store. You can download the apk from third party sites but it is not advised to do so as those would contain malware which would steal your data and even corrupt your phone. We strongly recommend to use a VPN tunnel and download the game from Google Play Store itself. First you need to install a VPN client such as 'TunnelBear' on your device. It is freely downloadable from Google Play. Once installed, open the application and select "United States" as target location from the drop-down and then activate VPN. This will change the location of your phone to US. Now go to Google Play Store and search for "Pokemon Go". If the game is not listed, go to Settings->Apps->Google Play Store and clear the data and cache. Then re-launch Google Play, you will have to accept the terms and conditions once again as you have cleared the app data. Repeat the search, you will see "Pokemon Go" in the search result, download and install it on your device. Now you can turn off the VPN and may uninstall TunnelBear. Open "Pokemon Go" and enjoy the game. As always, "Remember to be alert at all times. Stay aware of your surroundings"! How to get more PokéBalls? Of course the easiest way to get more PokéBalls is to spend PokéCoins by shelling out some bucks but that's not fun. You level up fast and fill up your Pokédex, each level up will give you a good number of Pokéballs. 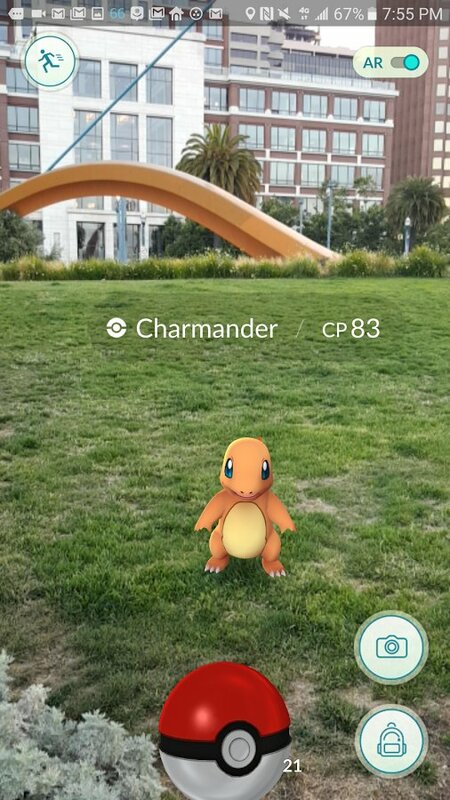 Another option to get more Pokéballs is to visit nearest Pokéstops. When you are near a Pokéstop, touch the blue icon which will give you details about that Pokéstop. Just spin the wheel to earn more Pokéballs and other items like PokéCandies. My PokéBall freezes while trying to catch Pokémon, what to do? This is happening with almost everyone intermittently. This could be a network/server issue. You just wait for the PokéBall icon on the top left corner to disappear, it's most likely that you will get your Pokémon in your Pokédox after restarting the game! I installed Pokemon go on my mobile and everything was working fine till yesterday, caught few Pokemons. But today my map is empty, no pokestops, no gyms, no Pokemons! What to do? There is geo blocking in India and few other Asian countries, the reason your map is empty. This normally happens when the official launch is nearing!